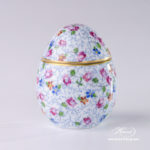 Egg Shaped Bonbonniere / Candy Jar – Herend Small Flowers QHF5 pattern. 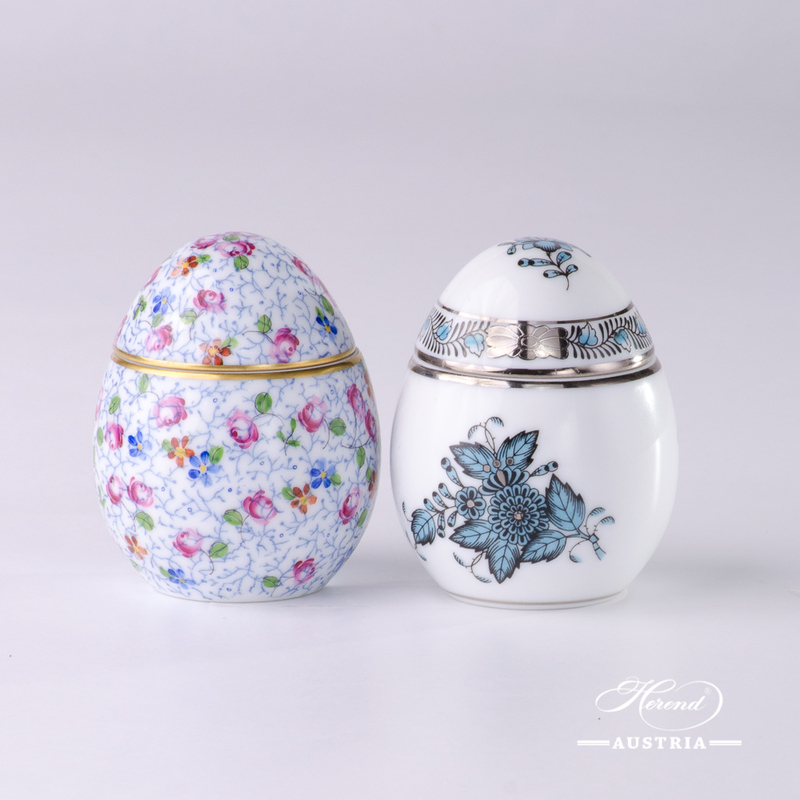 Herend fine china – Small Flowers – Queensberry Hunt QHF5 design. 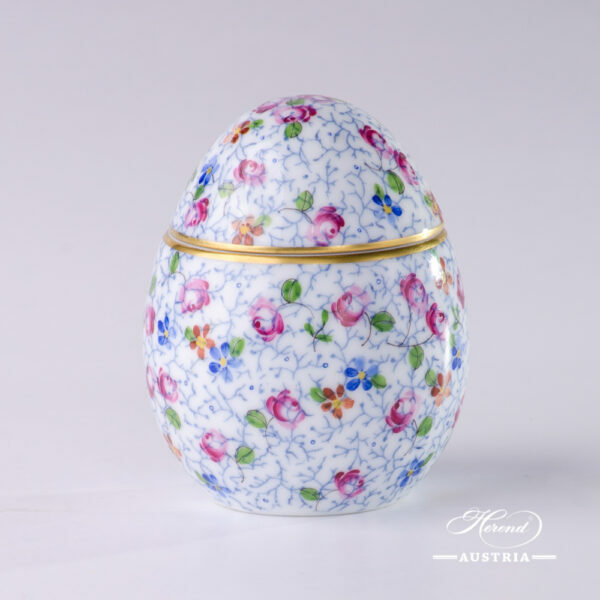 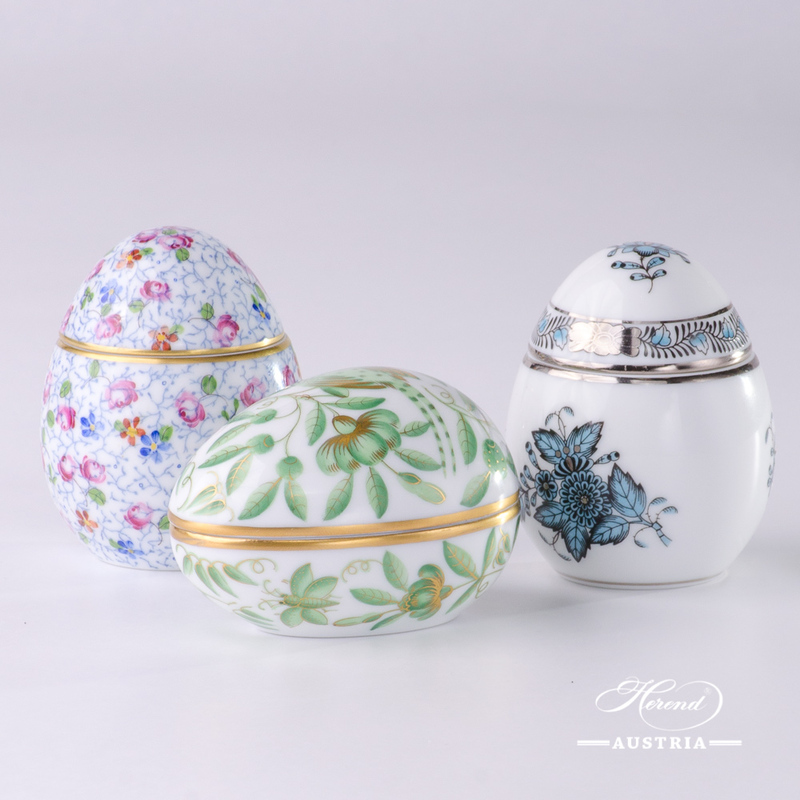 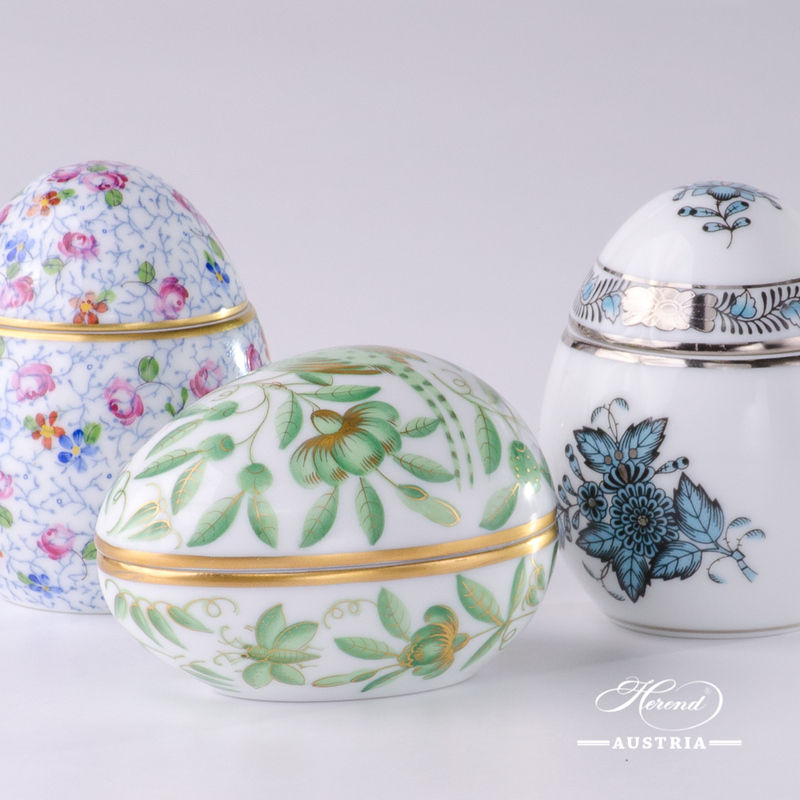 Egg Shaped Bonbonniere / Candy Jar – Herend Small Flowers – QHF5 pattern.